Are you looking for the best corporate gifts for the construction industry? 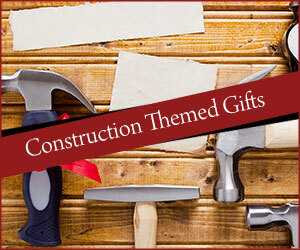 Unique one-of-a-kind construction themed gifts that will stand out. These are custom gifts that are branded with your logo and message. Personalized with your corporate colors and decorated in any color scheme. At The Gift Planner, we bring the word custom gifts to new levels. Brand new gifts for 2018. 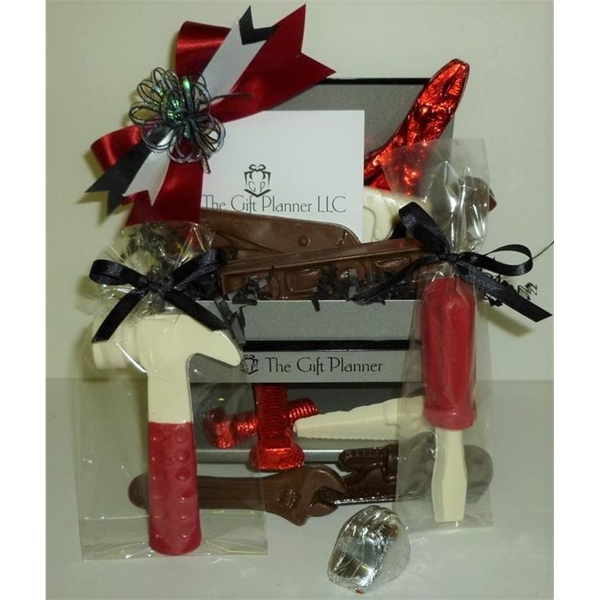 Corporate gifts themed for any construction company or contractor. These gifts are exclusive at The Gift Planner and were created to make your company stand out! A useful and delicious gift that will be appreciated and cherished. Construction themed gifts and promotional gift items branded with your logo. Corporate construction gifts perfect for client gifts, holiday gifts, Christmas gifts and tradeshow giveaway items. An adorable desktop construction or contractors themed gift. Measures 6 inches x 4 inches x 4.5 inches. Combination of white, milk and dark chocolate tools. Foiled milk chocolate bolts and 7 assorted chocolate tools. Milk chocolate hard hat and wrench foiled in any color. Hand painted white chocolate hammer and white chocolate screwdriver. You choose your edible decoration colors. Ribbon and bows wrapped in any custom color. Completely themed for your company and industry. 13 pieces of delicious chocolate tools. Great industry themed gifts for contractors, construction companies or builders. Adorable desktop construction or contractors work bench gift. One of the best corporate gifts for the construction industry. The Chocolate Zone Construction Safety Cone is brand new for 2018. This gift is centered around a traffic safety cone measuring 6 inches x 6 inches. Includes a dipped pretzel box and nuts and bolts box. 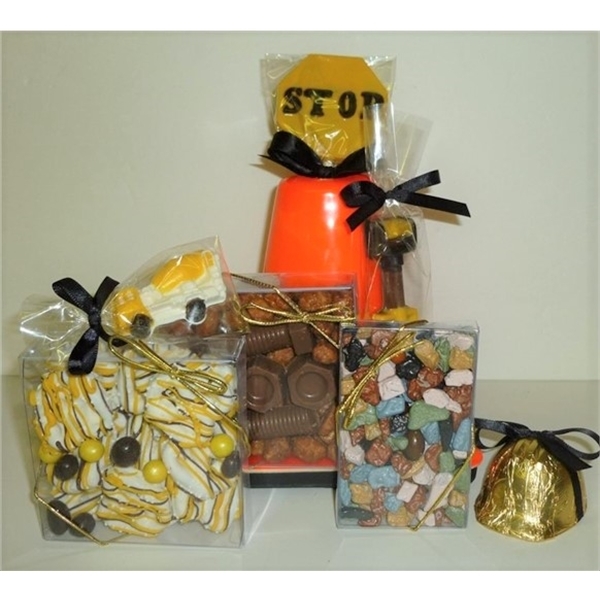 Delicious chocolate rocks, foiled chocolate hard hat and cement OR dump truck. Also a chocolate stop sign and chocolate shovel. This adorable construction themed gift comes with caution ribbon. Or you cab choose imprinted ribbon in any color. This delicious and adorable gift basket makes a perfect holiday gift, thank you gift or client gift. Various imprinting options that best highlight your logo and company! Delicious Chocolate Zone Construction Safety Cone.